This past November, our first daughter turned 4. It was literally two days after Thanksgiving (November 29), so you know we were very busy that week. Here she is with her cute little self – enjoying her morning breakfast at home. Funny, she was so excited so she got up early and told me she wanted to take a bath (although she had one the night before she went to bed). So she swam in the tub while I made her breakfast! Way too cute! We did not do anything large this year like we had done in the past. I probably did not start getting stuff together for this until the day before the party. In the past, I would start planning a huge party months in advance. But after last year’s combined party with only two families out of maybe 10 showing up, I felt that a large party this year was not necessary! People had to cancel for various reasons. The hardest part of this years activity/party (I even hesitate to call it a party) was finding the dress. I did not think of getting her one earlier because I thought for sure she would want a Frozen themed party since she loves them so much. And of course, those dresses are everywhere. But she decided she wanted to be Tiana from the Frog Prince this year (I don’t even think she has seen the movie)! After shopping through various stores at the last minute to find the dress, I finally spotted one in the midst of a bunch of princess costumes in Toys R Us. Silly me, should have thought of getting the dress before I got the other items for the tea, just incase we needed to change the theme. But we got it all! I decided to do individual activities for our kids this year. For this playdate/party, we invited two of her friends to come over to play with her in the morning and then we took her out to one of her favorite places to play in the mall, later that day (Yu Kids Island)Seriously, this place never gets old for this child! By the end of the day, she was really worn out! Our other kid will be two just before Christmas and we may just do something with her as a family as she is not old enough to develop friends and so forth yet. The kids really enjoyed playing and just having fun with each other at home. The moms stayed around and we talked and watched their little babies while the others played. Yea for mom time – well kind of because we still had to monitor and take care of all the kids. The kids played dress -up in princess dresses, they played with dolls and doll house, play kitchen, and whatever other kids stuff they found around the house. When it was time to go, one kid started crying. And maybe all the large parties I planned in the past – is more for show and to take photos rather than anything else. I really felt please with just keeping it simple this year! But of course I had to have some kind of snack right? 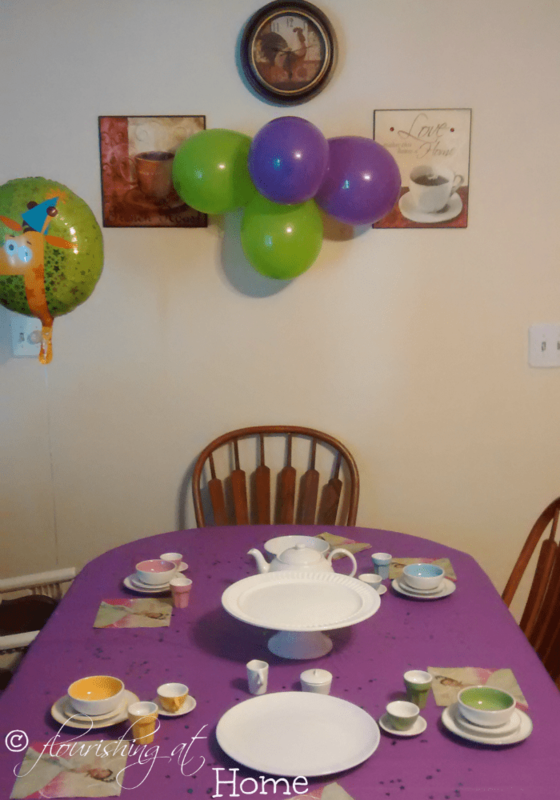 And my daughter wanted to have a tea party. She loves having tea parties at home – real or pretend. 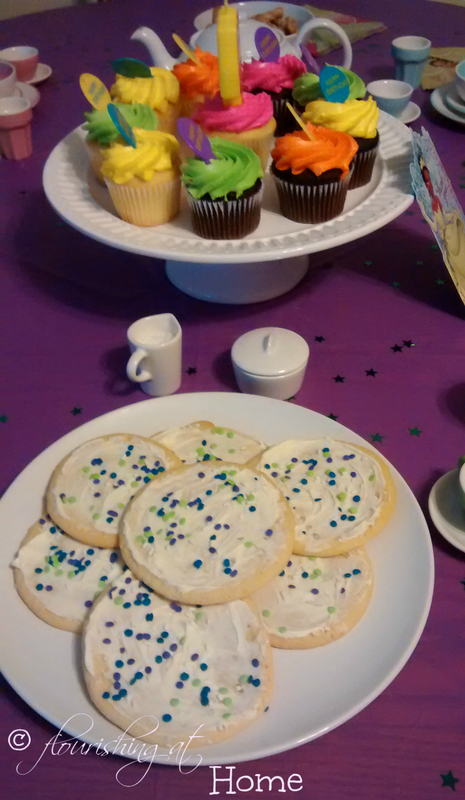 So we did tea, cupcakes, cookies, and pretzels. 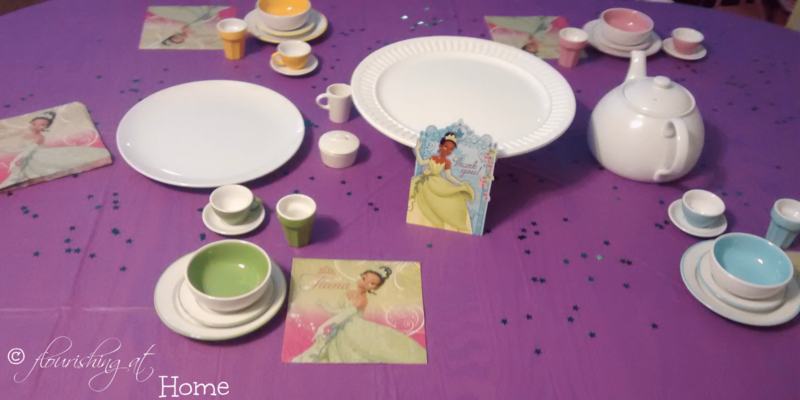 At first, I thought tea would be more fitting for a Sofia The First kind of party but she wanted tea with Tiana so we had tea! I did not even go the to the lengths of making the cupcakes; bought them from Jewel. Also, I bought a bag of sugar cookie mix to make the cookies. Yea, for less work! Oh and just as I was about to get frazzled, hubby reminded me that I was not planning anything big so do not stress it out! The kids really enjoyed drinking de-caffeinated tea out of those cute little tiny tea cups from a set I found at Ikea. They kept wanting more and more! Here are some of the photos from the playdate/party. Hope you enjoy them. They did a craft with photo frames as part of their goodie bags and I think the kids really are little artists! 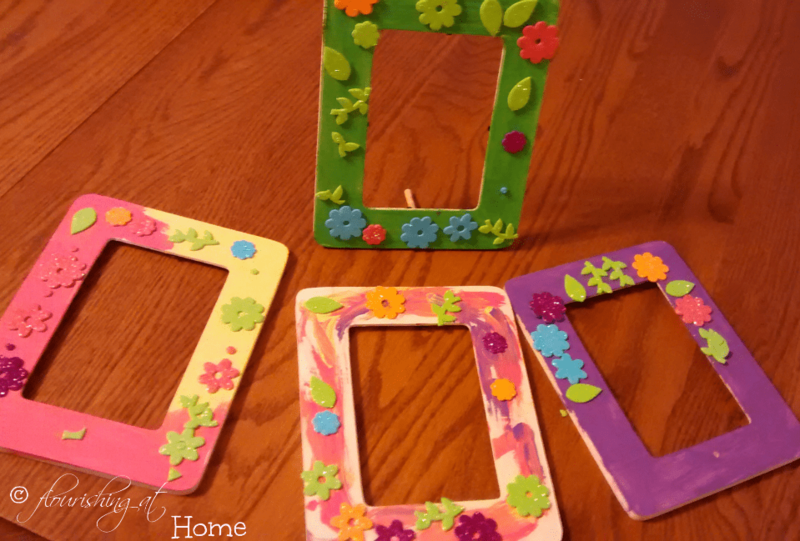 They painted the frames with their choice of acrylic color and when the paint was dried, they decorated it with some stickers. I could not find little frog stickers so we just used matching flowers with the theme. Here the kids are just playing around and having fun! And these two photos are from our kids playing at the mall. And of course, the birthday girl wanted to play dress-up in her Frozen dress she got as one of her gifts (she totally loves all those little Disney Princess Characters)! I hope you enjoyed those photos! Thanks to the two moms who were willing to bring their kids over to help our daughter have some birthday fun! That looks like so much fun! She’s SO pretty 🙂 I hope you enjoyed your day with her! Thank you Kristen….She is a cutie for real! Thank you, Lorelai! She had lots of fun! Looks like such a lovely day, the kids are adorable. Love the photo frame craft! 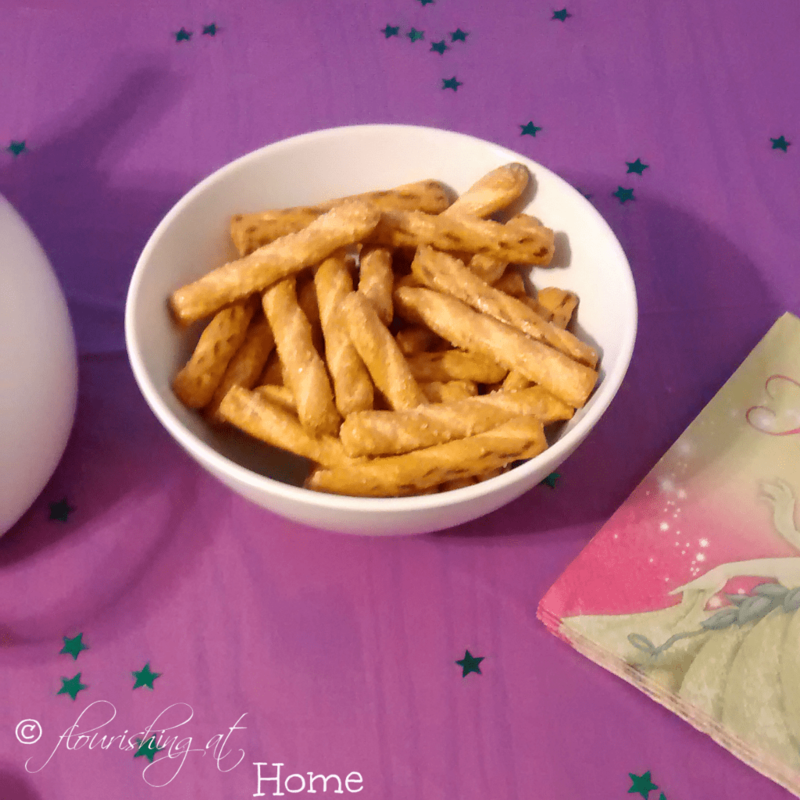 Thank you Joy – the kids really enjoyed it and really loved the craft! 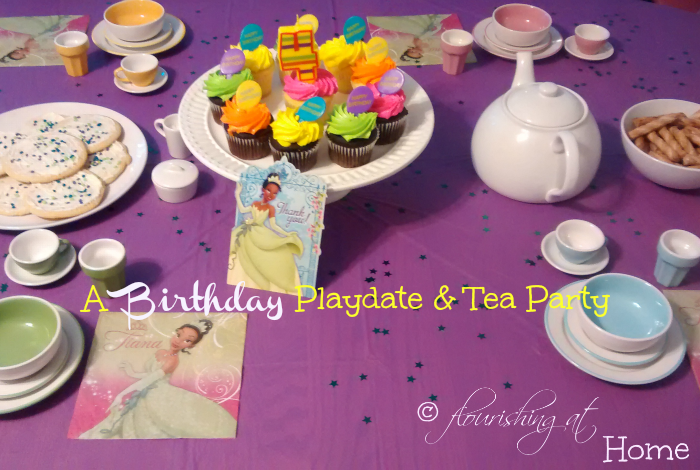 What a fun tea party! Personally, I like smaller, more intimate gatherings for kids. Glad the moms had a good time, too. 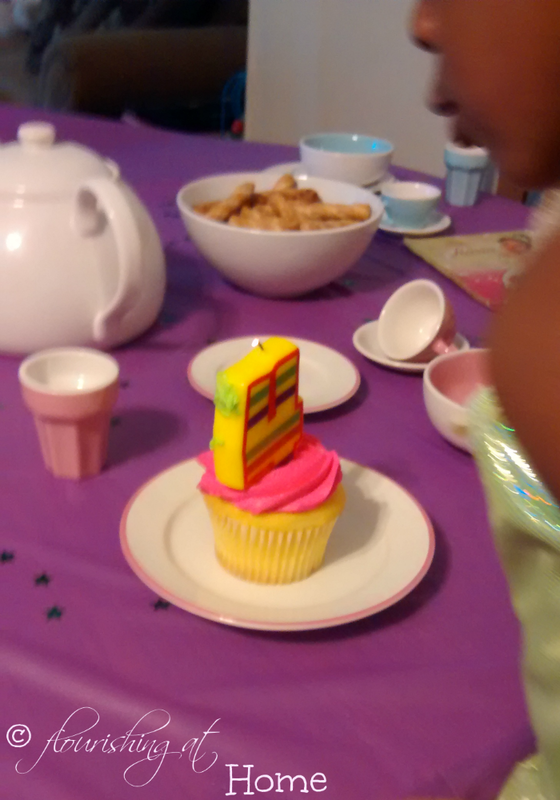 Tea parties are the best and your daughter is adorable. Thank you for the compliments! It sure was great to have just a small group and the kids really had more fun playing with each this way!